This is an informal setting of a peasant couple relaxing at the end of a hard day, viewing the moon. 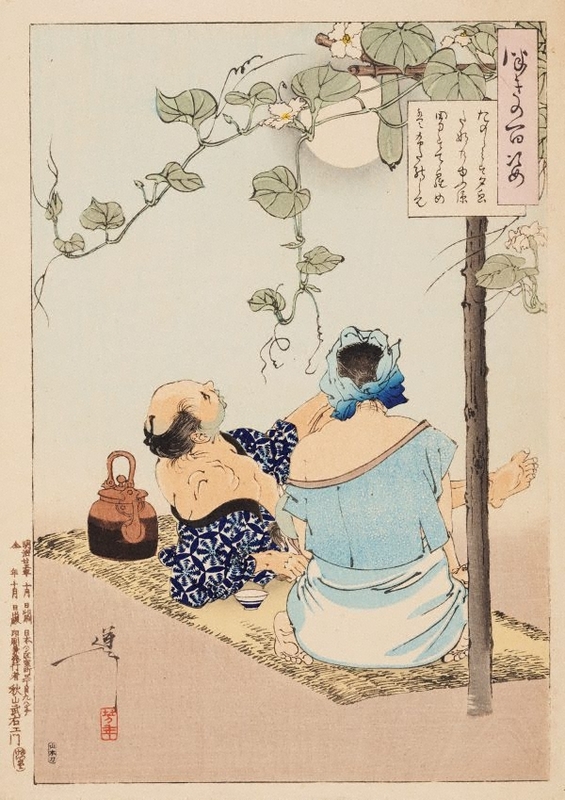 Their infant son is being suckled by his mother, while the man is leaning back and singing with a cup and a kettle of sake beside him, his garment lightly falling off his shoulder. A beautiful, robustly growing gourd vine called 'yūgao' (moonflower) frames the scene. A friend of Yoshitoshi, Keika, composed the poem in the upper right cartouche, which is reflected in the title of this work.